How lucky am I? 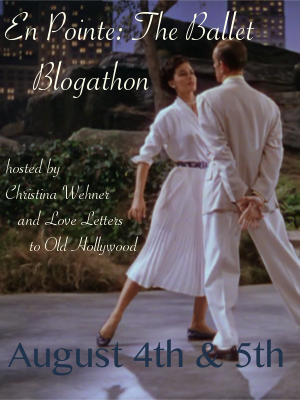 Christina Wehner has asked me to co-host her latest blogathon, which I'm thrilled to announce just days after completing my first co-hosted event with Phyl of Phyllis Loves Classic Movies. 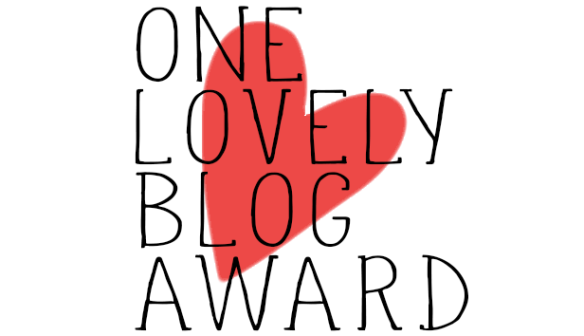 (You can click here to check that out.) 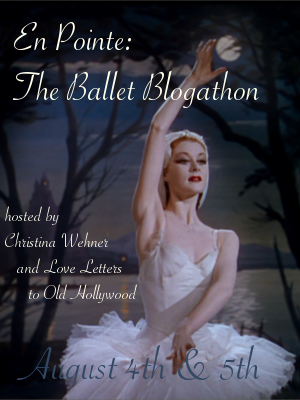 Without further ado, let me introduce you to En Pointe: The Ballet Blogathon! 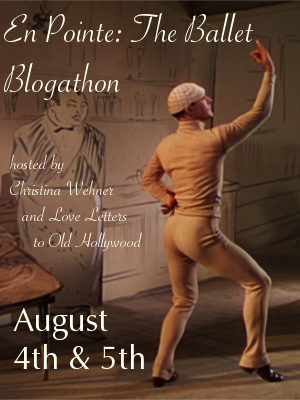 As an obsessive fan of musicals, I can't tell you how excited I am to be a part of this blogathon. 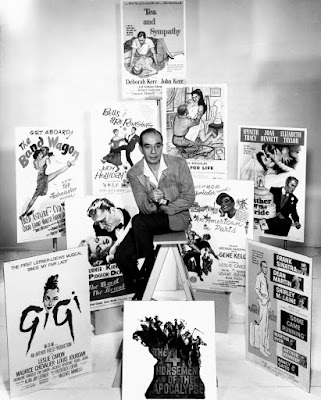 Ballet is such an amazing and lovely art form, and it has influenced some of my favorite people and films. 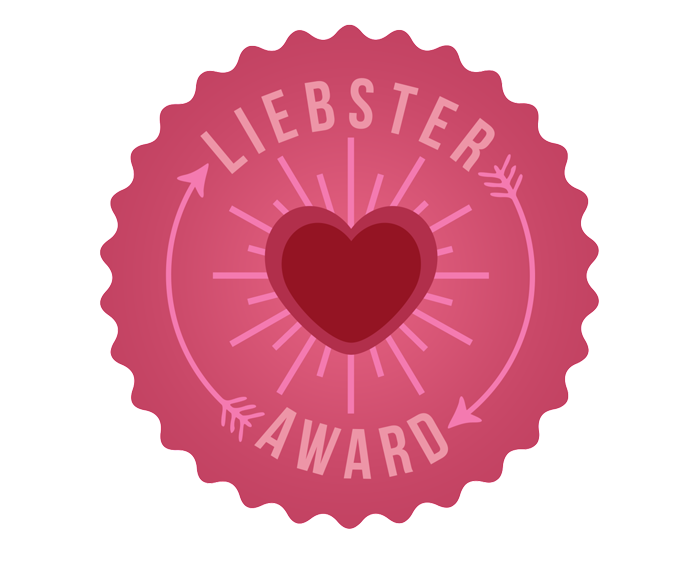 If you'd like to participate, just read our rules, pick a topic, and grab one of the wonderful banners Christina's friend Andrea made! 1) Your topic, obviously, needs to be about ballet. However, that doesn't mean it has to be a musical. It can be any film that has ballet in it, such as Waterloo Bridge where the female protagonist is a ballerina. You also have the option of talking about filmed performances of actual ballets. And guess what? 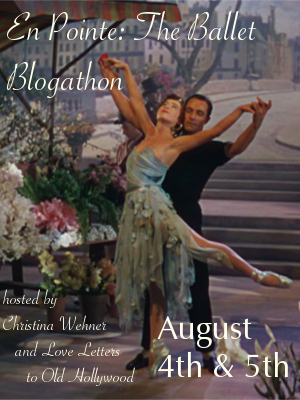 Since we're such nice hosts, we've decided that ice-skating and Esther Williams's water ballets qualify for this blogathon, so you have even more options! Our only stipulation is that if you do choose Ms. Williams or ice-skating, please keep a perspective on ballet in mind. If you have any questions about this, feel free to ask us! 2) There is no time period restriction. Your topic can be from 1940 or it can be from 2017 -- whatever you want! Just please include the release year with your topic. Otherwise, when I put you down, I'll have to guess which film you mean and I may give you the wrong movie. It's just more helpful. 3) Because we'd like to have a varied, widespread celebration of ballet, we will only allow two people to cover the same topic. So, for example, if The Red Shoes has been taken by two bloggers, it's no longer available for you to grab. 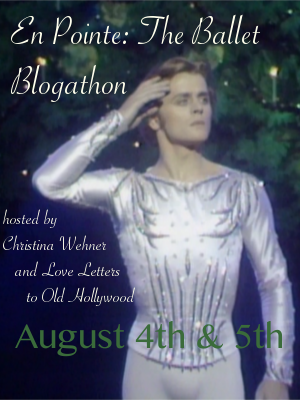 UPDATE: Because of the blogathon's popularity, Christina and I have decided to extend the event until August 6th! 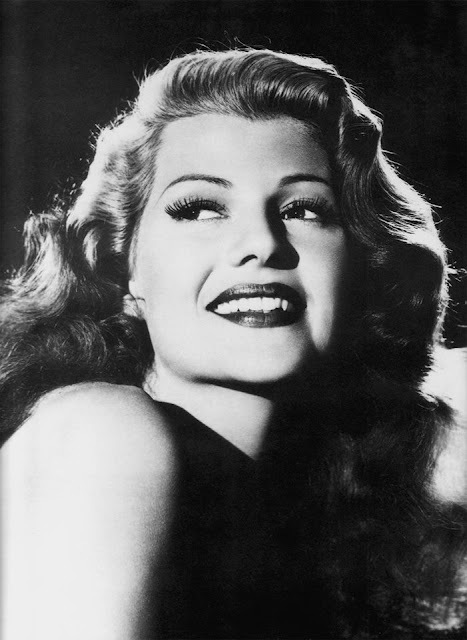 NOTE: The Red Shoes, Shall We Dance, and Never Let Me Go have been picked the maximum number of times and are no longer available. I'd love to do "Ballerina" aka "Leap" please. Great, I'll get you added shortly! 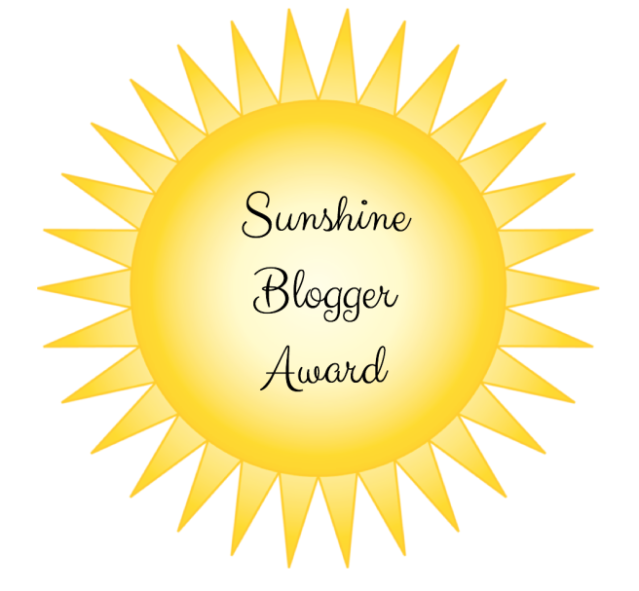 Thank you so much for hosting this wonderful Blogathon. 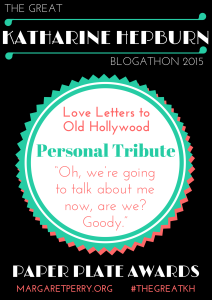 As soon as the Blogathon is "live" I'll update my links to point to the relevant page. Sign me up for The Mad Genius, please. Will do! It'll be up within an hour or so. Yippee! So very excited! I am quite looking forward to reading about your ten favorite water ballets! I'm super excited, too! 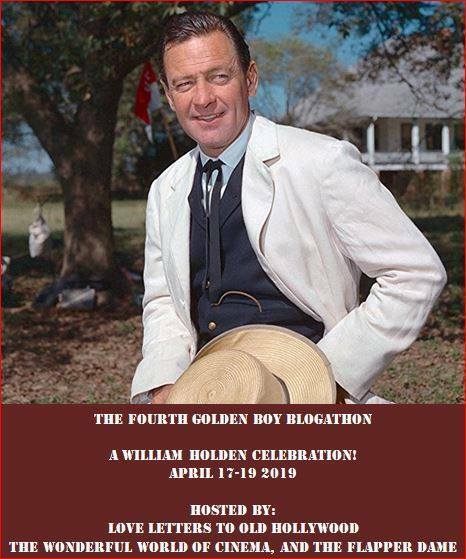 Should be lots of fun! 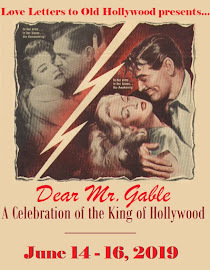 So, add me and the movie Never Let Me Go (1953), with Clark Gable and Gene Tierney. I was reluctant to enter this one since I don't know squat about ballet. 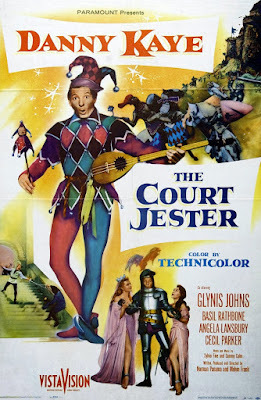 I don't even think I'd be interested in a movie that was a film of a ballet. 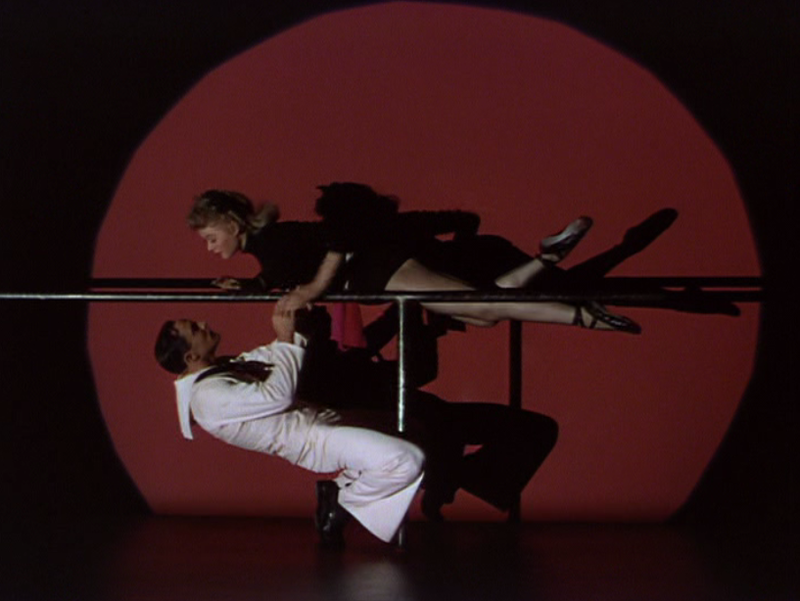 But then I remembered a movie I saw in the theater back in the 80's starring the great Mikhail Baryshnikov and Gregory Hines called "White Nights". The focus isn't really on ballet, per se, but Baryshnikov does play a ballet dancer. Does that one qualify? Certainly! Glad to have you with us! Hello! 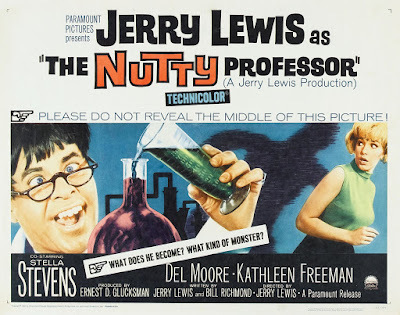 What an excellent topic for a blogathon! 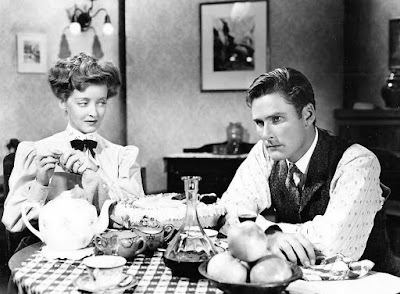 Would I be able to write about Limelight (1952)? Thanks! Sweet! Thanks :) It is such a beautiful film. And Buster Keaton and Charlie Chaplin together? Magic!! 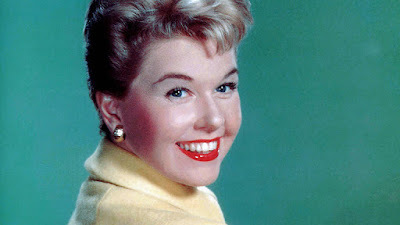 I would also like to write about Never Let Me Go (1953). Sounds good! Thanks for joining, Phyl! Good choice! Glad to have you! I'm at The Wonderful World of Cinema. Excellent choices. Glad to have you! Sure thing! 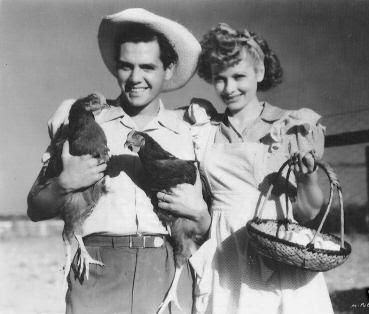 I adore that film, so I'm happy that it'll be represented! Thanks for joining us! Here you go! 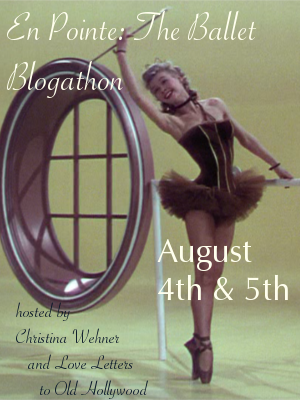 I had a fun time participating in this blogathon!